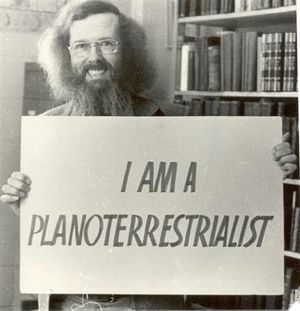 Leo Ferrari frequently described himself and his kin as planoterrestrialists. 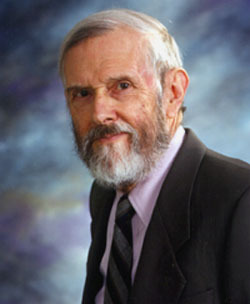 Dr. Leo Charles Ferrari (8th December 1927 - 7th October 2010), a professor at St. Thomas University, was a co-founder, president, and active member of the satirical group known as the Flat Earth Society of Canada. Dr. Ferrari took a very post-modern approach to the Flat Earth Theory, proposing to overturn the authority of scientists and instead rely on one's own perception of the Earth's shape. He argued that no authority can deterministically claim what is and isn't true, and hoped to restore the sense of validity of personal inquiry and perception. This was largely in response to "science's insistence on the things unseen". Ferrari worried that society was being blinded by science and technology, and that they had lost touch with their own bodies and rational conclusions. We believe in terra firma, and the more firmer the less terror. All science, like all philosophy and all religion is ultimately metaphorical and... reality is essentially mystical and poetical. Our aim is to restore man's faith in Common Sense... Seeing is believing. ...Man has been blinded by metaphysics, brainwashed by popular fallacies and bullied into denying the evidence of his very own eyes! 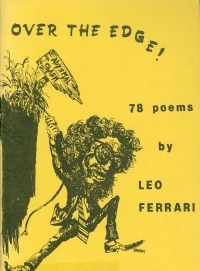 Leo also wrote poetry, a lot of which had to do with the Flat Earth. "The average man can’t advance a single reason for believing that the world is round. He accepts that theory on blind faith and rejects the evidence of his own senses. We of the Flat Earth Society have elected to dispute the one premise that our scientific Western civilization regards as indisputable. Nowadays if you say that God is dead, the general reaction is 'so what?' but if you say that the earth is flat, then God help you." This page was last modified on 22 March 2019, at 15:38.